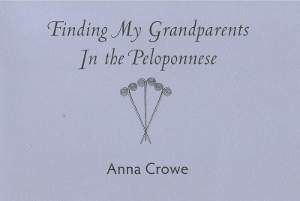 Since the late eighties Anna Crowe's work has been appearing in journals, such as Stand, The Honest Ulsterman, Lines Review, Smith's Knoll, The London Magazine, Sou'wester (South Illinois University) and The Red Wheelbarrow, and many others, including Tayside and Fife Archaeological Journal and Bulletin of the Institute of Mathematical Statistics. 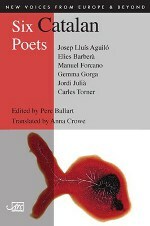 Some of these translations have appeared in journals such as Modern Poetry in Translation, The Rialto and The Stinging Fly and in the Bloodaxe anthology Being Human (2011). 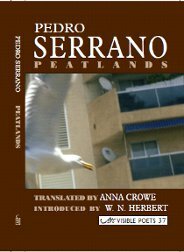 Travelling Scholarship from the Society of Authors, 2005.
with artists Elaine Allison, Patricia Bray and Kyra Clegg, in a collaborative response to the collection in the Bell Pettigrew Museum, St Andrews, resulting in an exhibition PRESERVED between the image and the word at Stanza 2015.